Provides a date filterable list of all updates. searchable, and filterable by classification and product, this is the page to view compliance of a specific update. 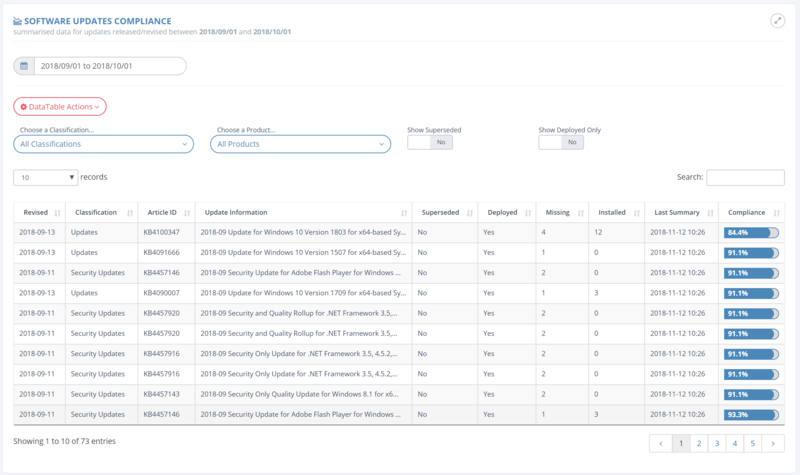 The additional tabs on the update modal show metadata for the update and any deployments.